Hi. My name is Yelyzaveta. I am a screenwriter looking for a director to direct a short film for festivals. I have experience writing scripts that afterwards get used and not just lie in my drawer. This is why I am looking for an experienced director to collaborate with. The main purpose of this project would be not only to gain experience and create an amazing short film, but also possibly get noticed on film festivals with potential opportunities opening to you in the film industry. One of the festivals that I have in mind is Sundance, but I am open to any other propositions from you. Logline: An old man and woman separately tell their psychiatrist the story of their lives, but have no idea that they go to the same doctor. 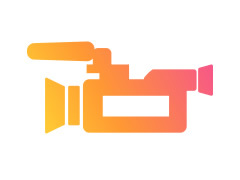 - Experience directing at least one short film/film/documentary/episode in a show. Experience in producing or directing cinematography is preferred, but not necessary. - Connections in the industry are preferred so that you don't have too many difficulties finding actors and crew. - Passion for the project and willingness to submit it to film festivals afterwards. - Punctuality and a sense of responsibility. - You should be located in one of the English-speaking countries, such as the USA, the UK, Canada, Australia or New Zealand. All of these requirements are set so that I don't have to deal with irresponsible or inexperienced filmmakers. I respect your time and effort that you will be putting into the project and I ask the same from you. Please, only contact me if you are ready to invest as much of your effort as will be needed for this project to become a success. To be filmed and sent to post-production in April-June of 2019. Sent to film festivals in 2019.